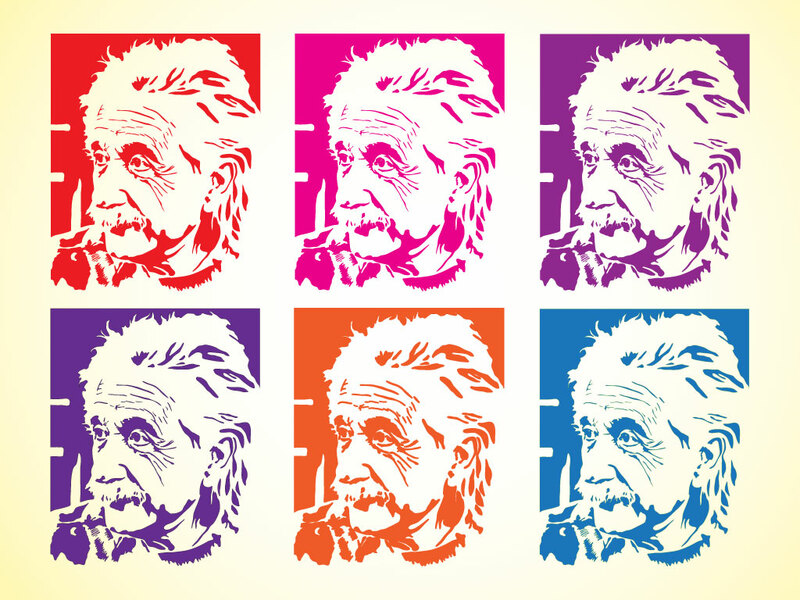 Download these pop art vectors of genius and Nobel Prize winner Albert Einstein. Einstein published hundreds of scientific papers and received doctorate degrees in philosophy, science and medicine from many American and European universities. Tags: Albert Einstein, E=Mc2, Genius, Nobel Prize, Pop Art, Relativity, Science.